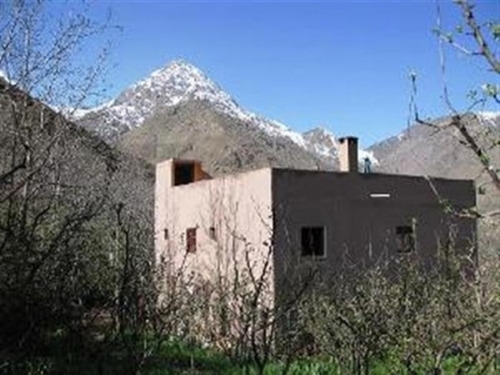 Trek Atlas recommends Riad Oussagou for walkers wishing to spend some time in Imlil before and/or after their trek, relaxing or exploring a typical Berber village and the surrounding area against the backdrop of the Atlas Mountains. Staff will make dinner on request - excellent Moroccan cuisine which is highly recommended. Oussagou Guest House is the perfect retreat for those who want to get away from it all. 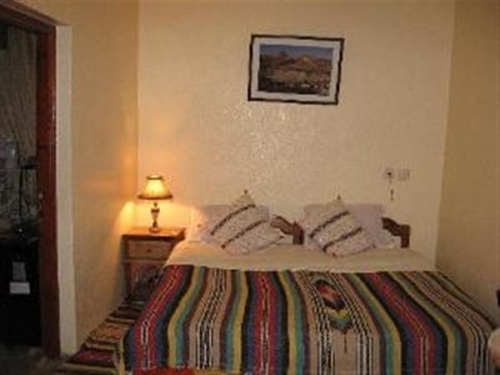 Guests come here for various reasons, some come to simply relax and experience the way of life of the Berbers of the High Atlas. Others come to trek and reach the summit of Toubkal. 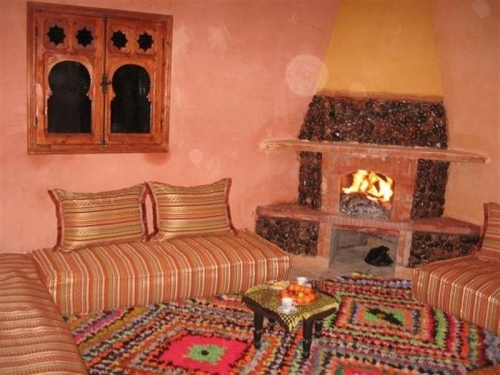 You can reach Riad Oussagou in just 1h30 drive from Marrakech airport by private transport arranged by Houssine or by public taxi from the airport or the Medina. My husband and I spent a week in Morocco together with our two daughters and their boyfriends. I booked the riad a week before the holiday, having read the reviews on this site. I agree with everything already written, and would recommend this riad to anyone. We spent just one night here, as a change from the hustle and bustle of Marrakech. We were lucky that the weather was hot and sunny so the youngsters were happy to relax on the roof terrace, and then we all enjoyed a tasty meal prepared by Houssine's wife and served by his staff in the sitting room - heated by a log fire as explained in the other reviews. My husband and I walked to the nearby village and were amazed to see that the way of life is still very primitive, although everyone has a satellite dish! The rooms and ensuite in the riad were a higher standard than we expected, and the whole family was very welcoming. Houssine's English is excellent and he would definitely have been a great help if we had booked for longer and wanted to walk in the mountains. When trekking in Morroco recently my wife and I stayed i night here before travelling on to Marrakech (having previously stayed at the Kasbah de Toukbal).This is a delightful little guest house which is about 1 kilometre or so from the centre of Imlil (no further than the Kasbah).It is very well run by the owner and his family and everyone was extremely friendly. The rooms were modern and reasonably sized and you can lounge and eat on the roof terrace.